Steven Clifford, a former CEO who has also served on many corporate boards, has a name for these procedures and practices— 'The CEO Pay Machine.' 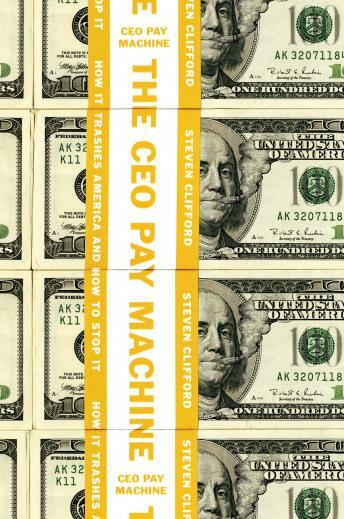 The CEO Pay Machine is Clifford's thorough and shocking explanation of the 'machine'--how it works, how its parts interact, and how every step pushes CEO pay to higher levels. As Clifford sees it, the payment structure for CEOs begins with shared delusions that reinforce one other: Once this groupthink is accepted as corporate dogma, it becomes infinitely harder to see any decision as potentially irrational or dysfunctional. Yet, as Clifford notes, the Pay Machine has caused immeasurable harm to companies, shareholders, economic growth, and democracy itself. He uses real-life examples of the top four CEOs named the highest paid in 2011 through 2014. Clifford examines how board directors and compensation committees have directly contributed to the rising salaries and bonuses of the country's richest executives; what's more, Clifford argues, each of those companies could have paid their CEOs 90 percent less and performed just as well.